Innovative thinking expert and author, Jeff Dyer, lets marketers in on the secrets and skills needed to become a marketing innovator. Just how did Steve Jobs and Marc Benioff of Salesforce.com fame become the gurus of creative thinking? Were they born with an inherent talent, or can you in fact learn to become a leading marketing innovator? According to Jeff Dyer, co-author of the book The Innovator’s DNA: Mastering the Five Skills of Disruptive Innovators, becoming a truly creative marketing leader is something all of us can achieve, provided we adopt distinctive behavioural practices and are willing to take calculated risks. He spoke about his research into creative skills at the Adobe Digital Marketing Summit in Salt Lake City on 4-8 March. As a sign of the importance of bringing creativity into marketing leadership today, Dyer cited a survey of 1,500 CEOs worldwide which found the top competency requirement is ‘to embody creative leadership’. “I want you to realise and appreciate that innovation is your job,” Dyer told marketers at the summit. “That doesn’t necessarily mean product information, but also process innovation. Anytime you have a problem to solve at work, and you come up with a solution that hasn’t been used before, that’s innovation. And that’s what will make you and your companies successful. One of the cornerstones to creative leadership is association, or lateral thinking. Dyer identified four behaviours that feed it: questioning, observing, experimenting and networking. According to the Innovator’s DNA research, leaders of innovative companies (see list below) spent 31 per cent more of their time looking for innovative ideas using these four behaviours, than those at non-innovative companies (15 per cent). So how do you tackle each of these? 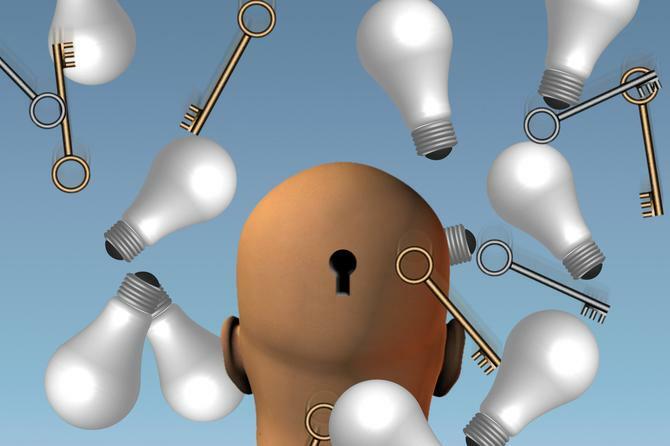 Skill 1: Questioning - Good innovators tend to ask questions in two ways , Dyer explained. They either impose constraints around the parameters of the question, such as ‘what if we only had half the budget?’, or they ask questions that eliminate constraints. Recommendation: “We found question-storming to be a good way to achieve this,” Dyer said. “Identify a problem you are trying to solve, but instead of brainstorming solutions, brainstorm only questions to the problem. Until you answer those, you probably won’t know how to come up with a really good solution. At the end, prioritise top 3-5 questions that should be addressed first. Skill 2: Observing - It’s crucial as a marketer to become more observant, as you want to make sure you really understand what other perceive you’re doing in the market, Dyer said. Skill 3: Experiment - According to Dyer, a common thread for experimentation is using an hypothesis test. However, his research into innovative leaders found they also take the time to learn new skills and are willing to try something new by seeking different experiences, or even taking things apart. Skill 4: Networking - Do you talk to others about the problems you are facing? Well, you should be. Dyer said it’s important for marketing leaders to build an ideas network to sound out problem they’re facing. The Innovator’s DNA and Forbes have created a list of the most innovative companies based on an ‘innovation premium’ index. This is a measurement of the current market value of existing businesses using cashflow and financial analysis, against the stock price value. The higher the value of the stock, the more expectation of innovation, Dyer said.